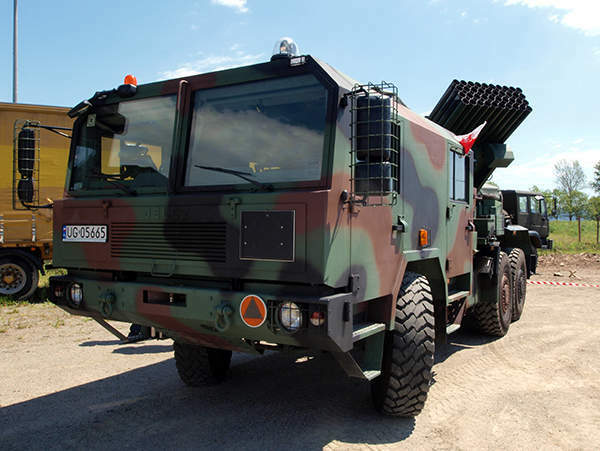 Langusta WR-40 is a multiple launch rocket system (MLRS) in service with the Polish Army. The 40-round launcher aboard the WR-40 Langusta can fire 122.4mm rockets. A WR-40 Langusta 122mm multiple launch rocket system displayed at MSPO 2007 exhibition, Image courtesy of Pibwl. Langusta WR-40 is equipped with 122.4mm 40-round launcher unit. 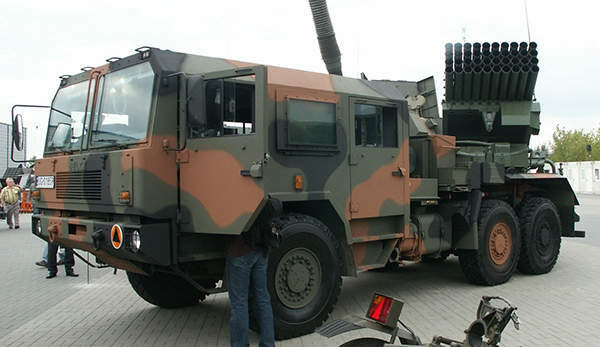 A side view of the Langusta WR-40 multiple launch rocket system (MLRS). 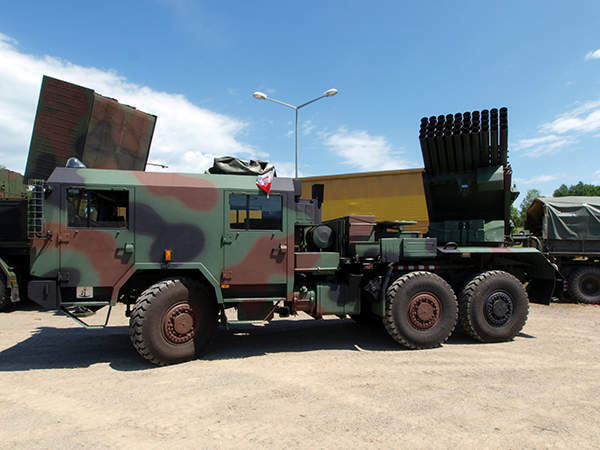 Langusta WR-40 is a multiple launch rocket system (MLRS) produced by Huta Stalowa Wola (HSW) for the Polish Army. 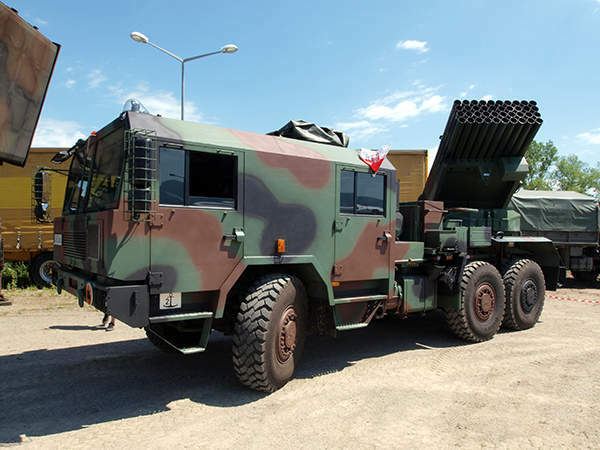 The WR-40 MLRS is a heavily modified variant of the BM-21 Grad artillery rocket system. The Polish Ministry of National Defence placed an initial production contract with HSW for the Langusta WR-40 system in 2006. The prototypes, based on the BM-21, underwent extensive trials by early 2007. The first vehicle was delivered to the Polish Army in March 2007. More than 30 vehicles were accepted into service by 2010. 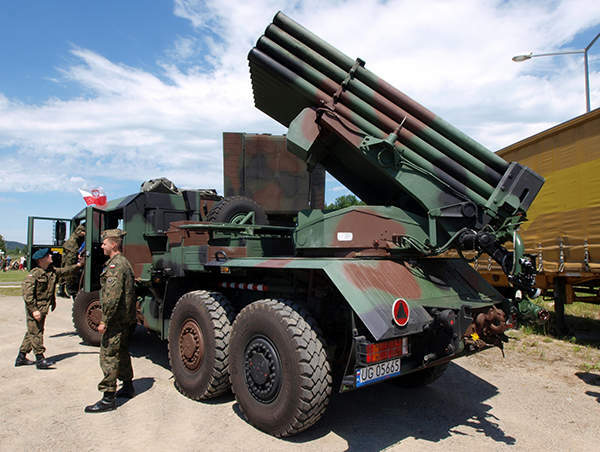 The Polish Army plans to replace its BM-21 units with the WR-40 in phases. 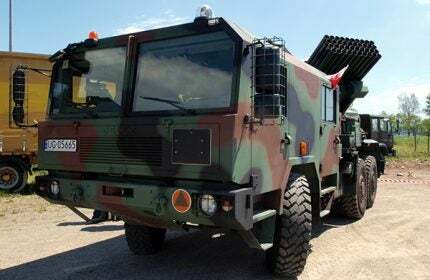 "The WR-40 MLRS is a heavily modified variant of the BM-21 Grad artillery rocket system." The Langusta WR-40 can be used to target enemy firing equipment, hostile fortifications and army posts of resistance. The Langusta WR-40 is based on the all-terrain truck JELCZ P662D.35-M27. The chassis is fitted with a slightly modified launcher with 40 launching tubes. The fully enclosed armoured cab can accommodate six troops. Troops can enter or exit through four doors on the cab. The hydraulic tiltable cab offers STANAG 4569 Level 1 ballistic protection and is equipped with an NBC system and an air conditioning system. The vehicle has a length of 8.6m, a width of 2.54m and a height of 2.74m. The weight of the vehicle without rockets is 17,100kg. KRAB is a 155mm self-propelled howitzer (SPH) manufactured by the Polish heavy industry manufacturer Huta Stalowa Wola (HSW) in cooperation with BAE Systems and OBRUM. Langusta WR-40 is equipped with modern fire control and navigation systems. The system components include a DD9620T terminal, layer’s display unit, stationary firing device, Talin 5000 navigation system, RRC-9311 AP VHF radio station, and FONET digital intercom system. The DD9620T terminal is equipped with 5.7in, 10in or 15in diagonal resistive touch screen, keyboard and analogue joysticks. The battalion of Langusta includes WR-40 MLRS, Automated Command and Fire Control System, Command-Staff Vehicles, Command and Reconnaissance Vehicles, weather station, and Logistical Vehicles. The artillery battalion of Langusta supportsa wide-range of missions requiring direct fire support at long ranges. "The WR-40 can fire rockets fitted with high explosive (HE) warheads at a maximum range of 42km." The rear-mounted 122.4mm 40-round launcher can fire standard and newly-developed rockets. The launcher has an elevation ranging from 0° to +55°. Traverse angle from the mid line of the chassis is 70° towards right and 102° towards left. The launcher is raised at the rate of up to 7° per second and vertical plane is powered at the rate of up to 5° a second. The left side of the launcher is also provided with manual back-up controls. The WR-40 can fire rockets fitted with high explosive (HE) warheads at a maximum range of 42km. The rockets with cargo warheads can strike targets at the range of 32km. The standard rocket of the WR-40 weighs 66.4kg. The multiple launch rocket system is manually reloaded within seven minutes by the crew. The launcher can fire full salvo (40 rounds) in 20 seconds. The projectiles are carried by a medium utility truck. Langusta WR-40 is powered by IVECO aifo CURSOR 8, four stroke, six-cylinder diesel engine. The EURO 3 compliant engine develops a maximum power of 259kW and torque of 1,280Nm at 1,080rpm to 1,930rpm. The 6×6 drive vehicle delivers excellent cross-country mobility. Langusta features 14.00 R20 tyres with run flat tire insert systems. The onboard central tyre inflation system allows the driver to adjust the tyre pressure according to the terrain being crossed by the vehicle. The vehicle has a maximum on road speed of 85km/h and a range of 650km with full fuel tanks. It can negotiate a gradient of 30o and side slope of 20o. The vehicle has a ground clearance of 410mm and can ford a depth of 1.2m. The WR-40 can be transported by C-130 Hercules transport aircraft. This project forms part of our recent analysis and forecasts of the global armoured vehicles and counter-IED vehicles market available from our business information platform Strategic Defence Intelligence. For more information click here or contact us: EMEA: +44 207936 6783; Americas: +1 415 439 4914; Asia Pacific: +61 2 9947 9709 or via email.